This Country Fried Life: 25 Weeks & Ice Cream! 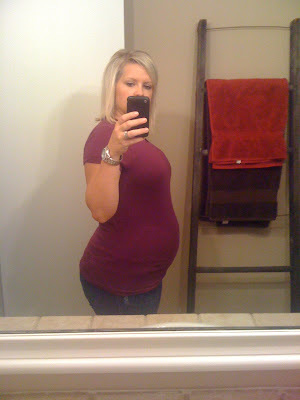 25 Weeks & Ice Cream! Baby E and I just finished week 25, only 14 more weeks until we see her sweet little face! As you can tell my belly is growing more. She is so active! A few nights ago, I was drinking a glass of ice water, and every time I took a drink she would kick. I'm not talking a little kick, as far as the Mr & I are concerned E is a little ninja! This went on for about 30 minutes and was by far the highlight of my week. This past week my nesting took over. I organized & cleaned out bathroom cabinets, pantry, kitchen cabinets, closets, and even the garage. We will be having a garage sale soon! It's hard to think that we've only been in this house for little over a year & we have accumulated so much JUNK! Emma's room for the most part is done. We just have a few minor things to get up on the shelves! Pics will come soon of her completed room. 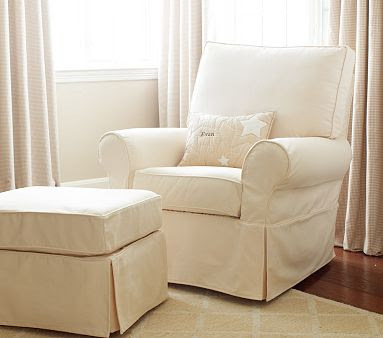 Our rocker for her room should arrive in the next few weeks, which I'm so excited about. The in-laws purchased it for us from Pottery Barn & it is the most comfortable chair I have ever sat in, so it will make those long nights a little more bearable. I also had a life changing experience this week. My sister -n- law had a great idea to go for ice cream one night, so we hit up one of the best places in Houston to get a shake, Sam's Deli. 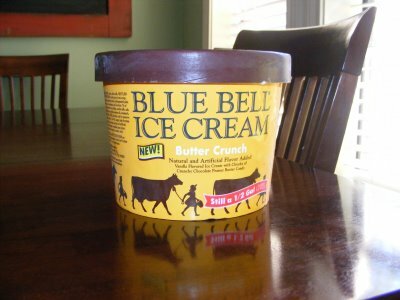 I was planning on the usual chocolate shake, which I must say is heavenly, but I noticed they had a new Blue Bell flavor in, Butter Crunch. I settled on one scoop of Butter Crunch and I am hooked! It's only a seasonal flavor, and thank goodness because I would be the size of our living room if they had it our year round. If you haven't had it yet, I would highly recommend it! Hope yall have a great week; I'm off to sit in front of my TV to watch my fall favorites with a bowl of my Butter Crunch! Emma wants beer, not water. No wonder she's kicking the heck out of you! Still a cute bump!!! Emma is going to love that glider when you rock her to sleep!!! I love it! !